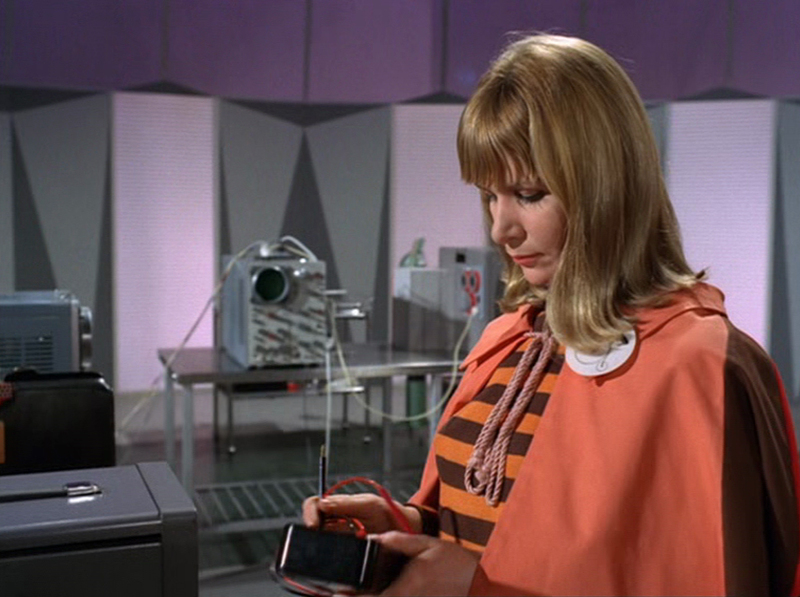 Number Fourteen (Sheila Allen) cape - A. 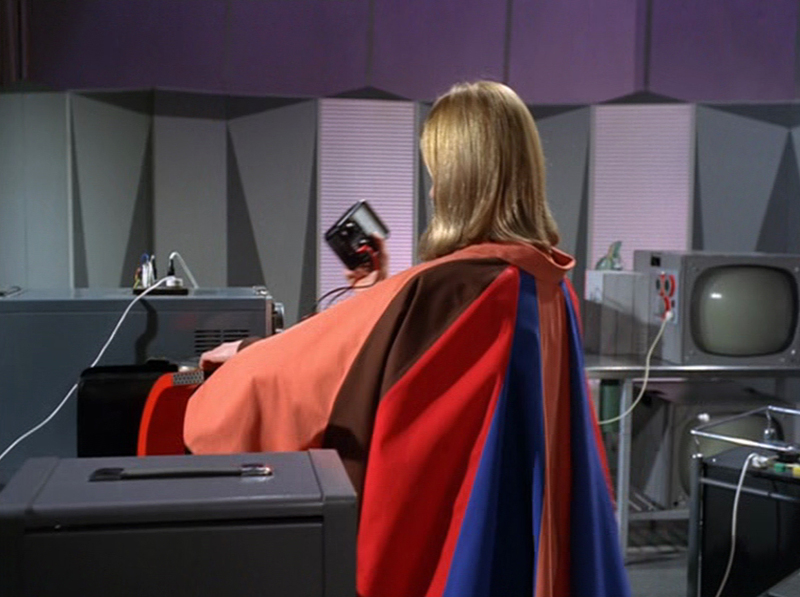 B. and C.
The Prisoner is a 1967 British television series largely developed by and starring Patrick McGoohan as Number Six, a former secret agent who is held captive in a mysterious village resort where the residents are simply assigned numbers as an identity. 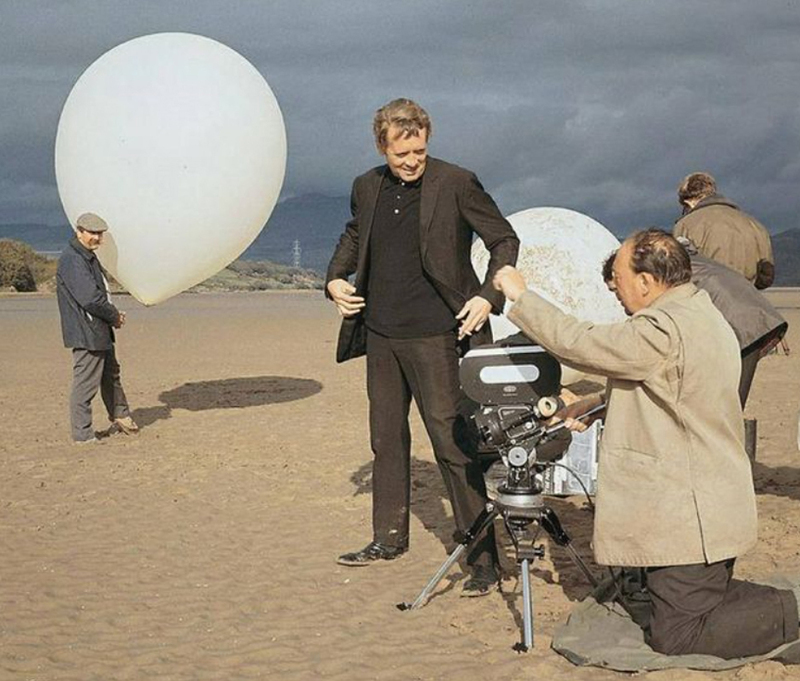 Produced by Lew Grade's ITC Entertainment the thought provoking series was conceived during the production of McGoohan's previous ITC collaboration Danger Man (1960) which would also provide the inspiration for the now famous filming location which had been used in the episode View from the Villa. 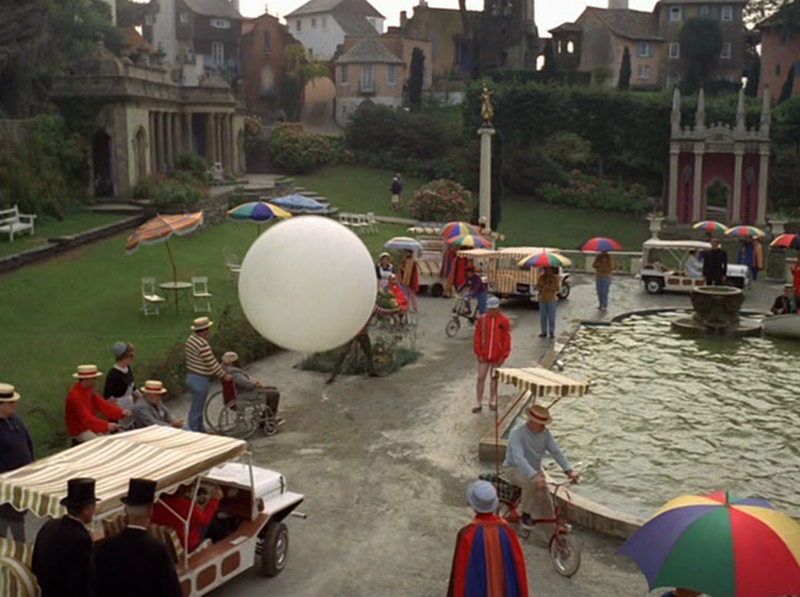 The series was filmed at the picturesque North Wales village of Portmeirion, designed by noted British architect Sir Clough Williams-Ellis, almost in its entirety, filming began in autumn 1966 with a number of local residents even used as extras and the location remains virtually unchanged to this day with a Prisoner themed gift shop located in the building in which Number Six himself resided. 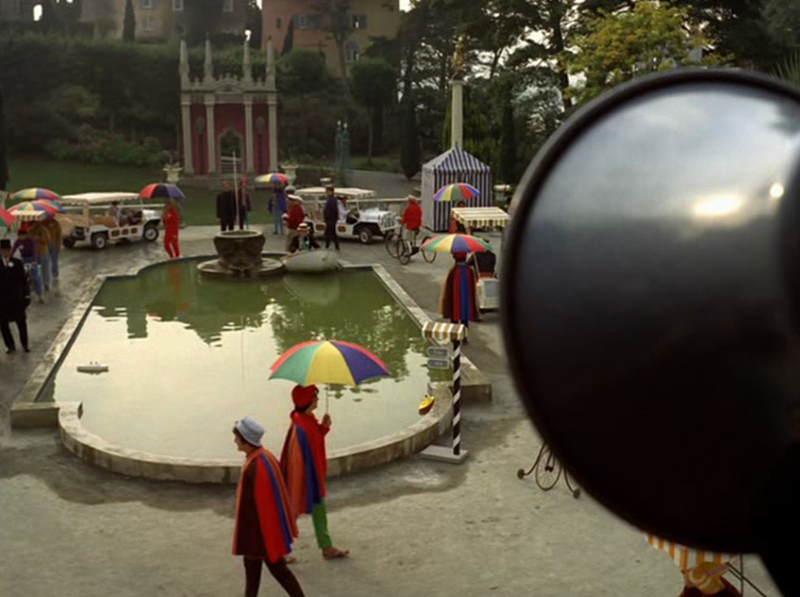 McGoohan's critically acclaimed series epitomises the psychedelic counterculture of the 1960s with its surrealistic and psychological undertones quickly becoming a cult influential classic which remains popular some fifty years later. 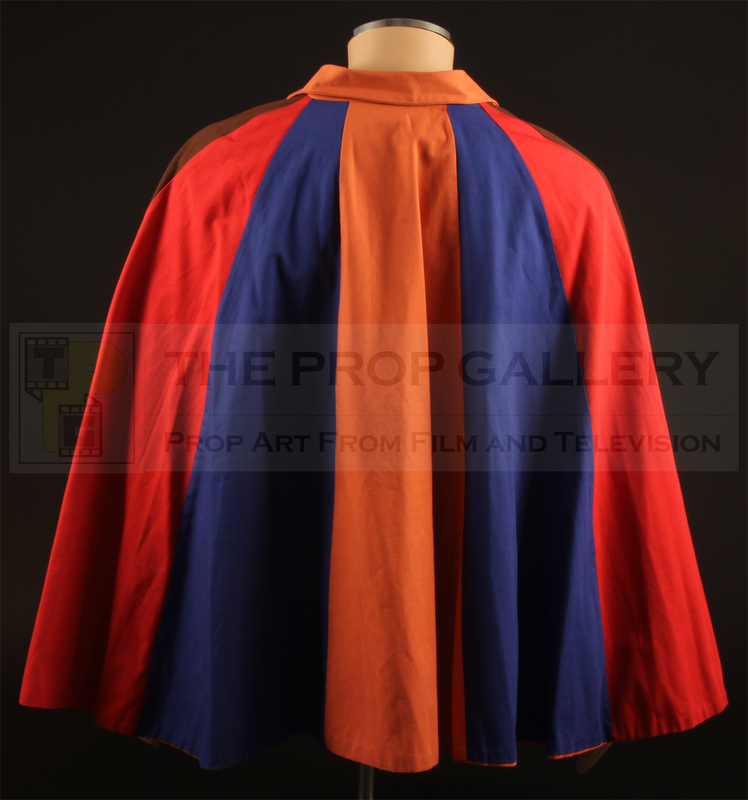 This cape is one of a number created by noted theatrical costumiers Bermans and Nathans for the production, they can be seen worn throughout the series by various residents of the village. 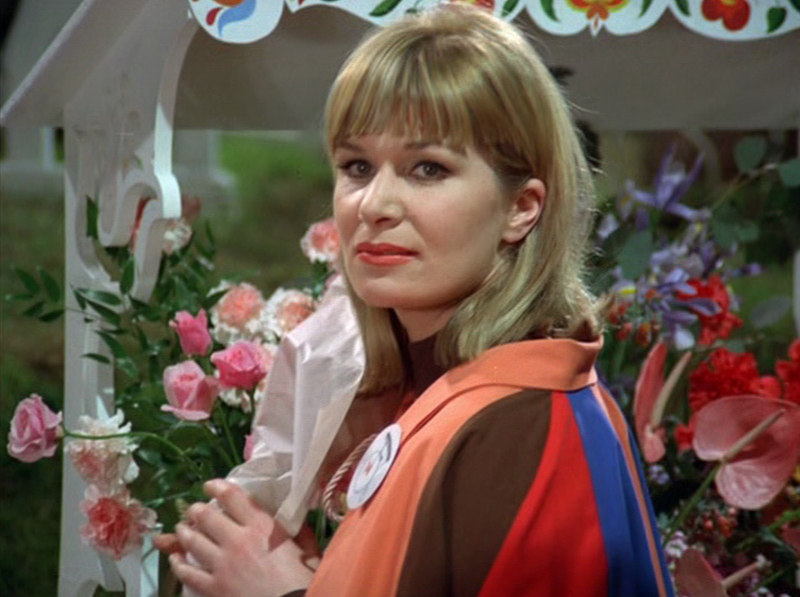 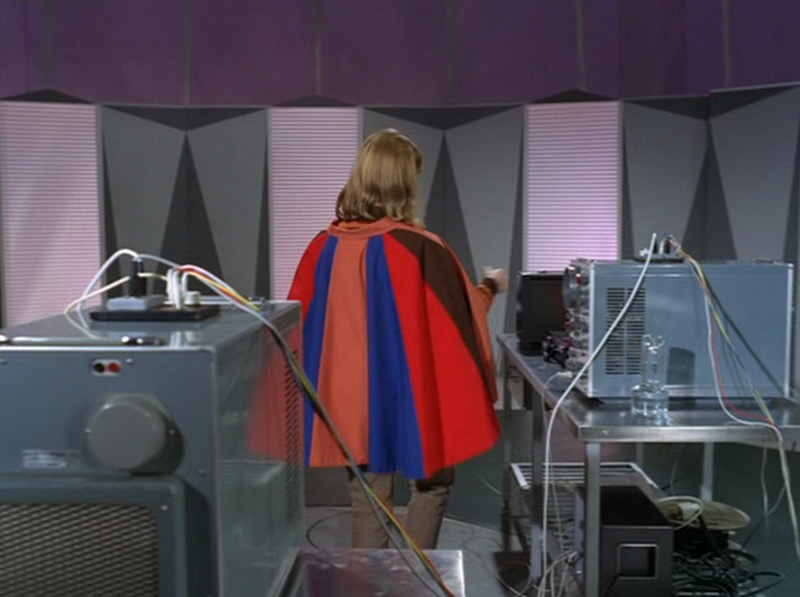 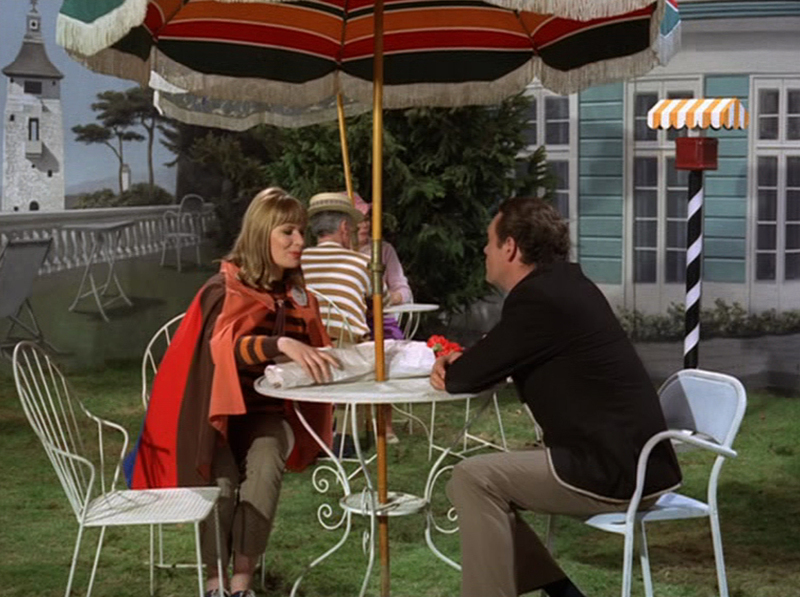 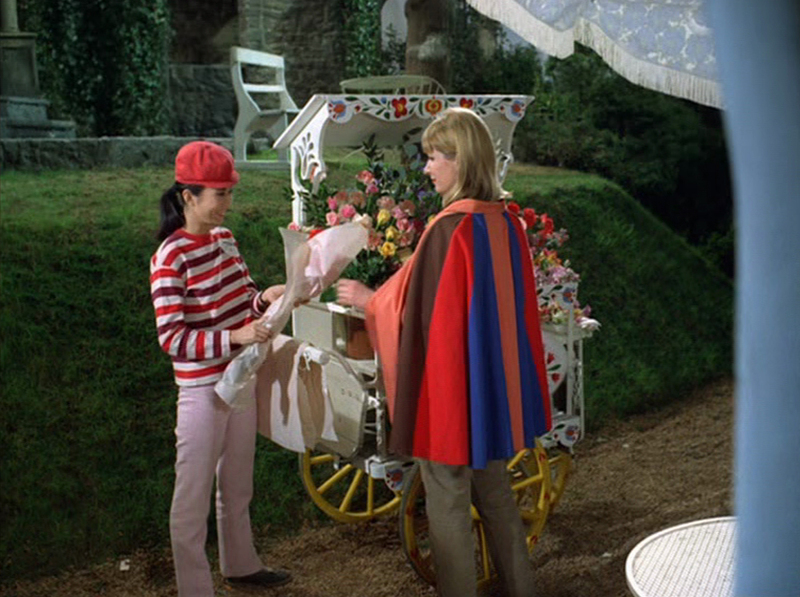 Constructed from multicoloured panels this particular example can be positively identified as the one worn on screen by guest actress Sheila Allen as Number Fourteen in the episode A. 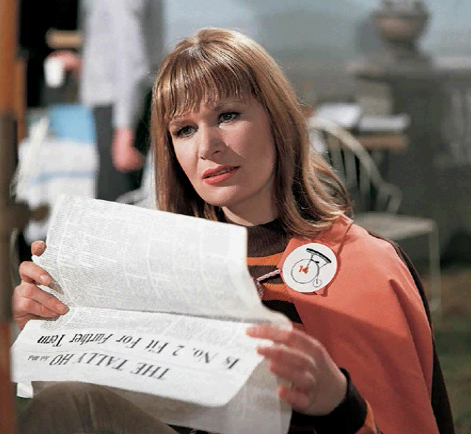 B. and C. which was first broadcast on Friday 13th October 1967, written by Anthony Skene it was originally planned to be directed by Michael Truman who had previously collaborated with Allen on an episode of Danger Man however this duty was passed to Pat Jackson after Truman fell ill during the production. 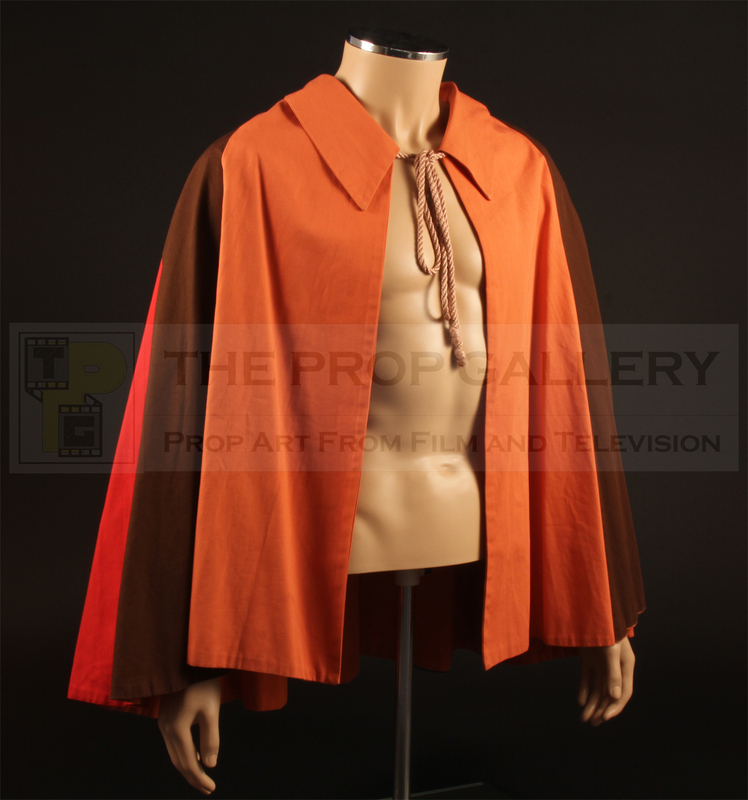 Original artefacts and material used in the production of The Prisoner are exceptionally rare with only a handful of significant pieces remaining today and this represents an instantly recognisable example of original wardrobe from McGoohan's iconic series which has become an important part of British television history.